I'm a big believer in practicing meditation that is a right fit for you. For some people this means getting up every morning and sitting for 15 minutes in the quiet. For others this means watching the sunset at a park near their home. It can mean taking five deep breaths with intention. It could even be singing a song you love or coloring (yes, coloring). I see meditation as an act of mindfulness that quiets your mind and creates space inside you. And while you're practicing it, you have a deep awareness of your breath as you try to soften your mind, your heart, and be as present as possible in your body. I want to start sharing some of my favorite meditations with you - the simple ones I do that recharge me, ground me, and help me support myself. 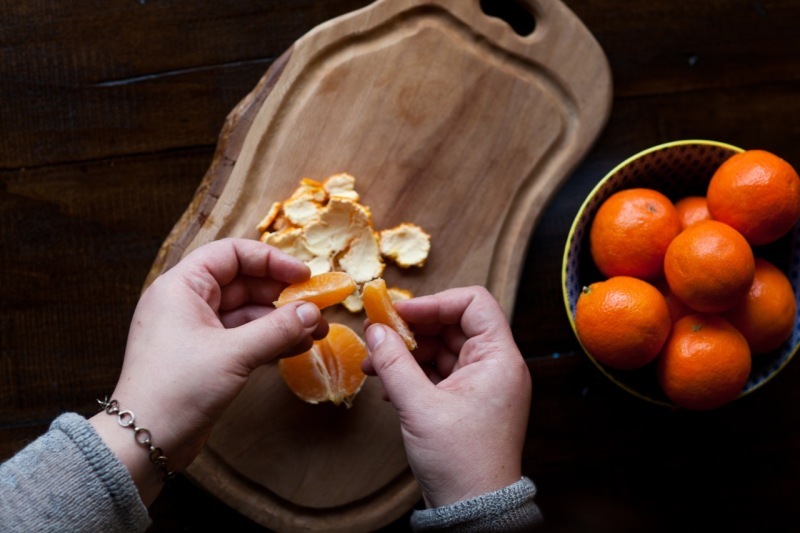 First, you'll need to gather your favorite citrus fruit. I have a bowl of little cuties here, because they make me so happy. But you only need one piece of fruit. 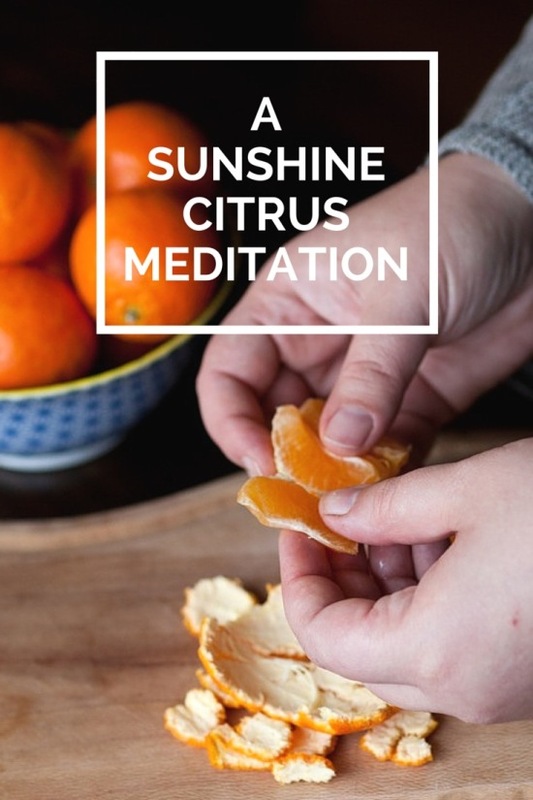 And my favorite favorite way to do this meditation is to stand at the kitchen sink eating a ruby red grapefruit as the juice drips down my chin. I peel it like an orange and dive in. Choose whatever brings you joy. Second, pause and still your body and mind. Stand or sit and notice your body. Let your shoulders drop away from your ears; let your face relax. Begin to notice your breathing. Notice how your chest expands on the inhale. See if you can keep your spine long even as your exhale. Holding the orange in your hand, use your senses as you get a little curious. How does it feel? Smell? Describe the color to yourself. Just notice all that you can about this little piece of fruit. Then, begin to peel it and continue to notice what your senses have to tell you. How does the texture change? Can you hear the peel coming off the orange? List everything about this orange in your mind. You might even have some memories coming up. 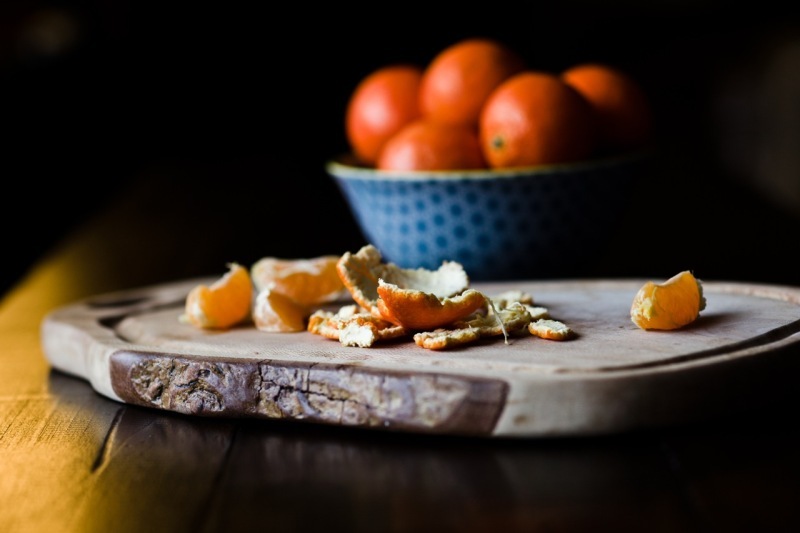 Just notice them and come back to this moment, this orange, this act of peeling. Feel the sun? Yes! Here's what I mean: As you continue peeling your orange, think about the sun that grew this orange on the tree that was its home. Think about how the sun helped the orange blossoms bloom, how it warmed the tree all the way to its roots. Imagine that sun, that warmth. Close your eyes and breathe and feel that sun. As you begin to eat the orange, imagine that this sun is becoming part of you. Warming you from the inside with each bite. The sun that warmed the gorgeous orange outside of this orange to help this fruit come to be is now inside you. It's part of you. Sixth, just be right here. 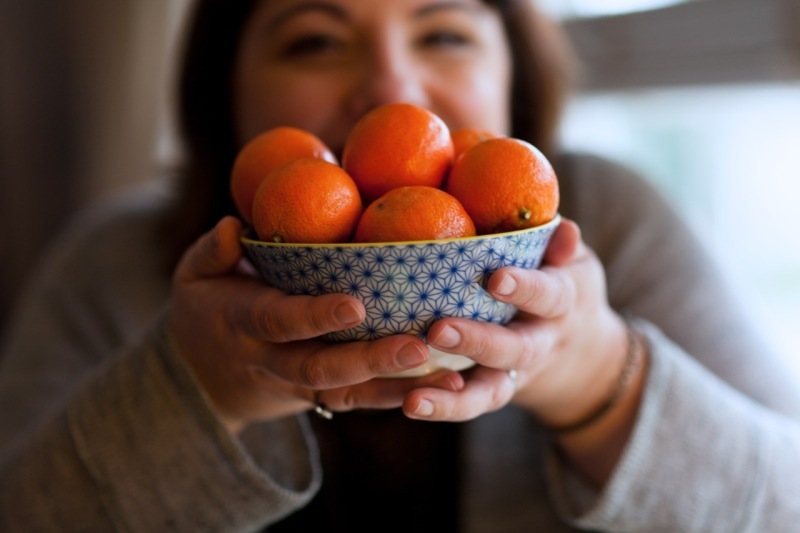 After you finish eating your orange, take a moment to just be. Breathing. Noticing. Finding that small space between your inhalations and exhalations. You might also be interested in the downloadable (free) guided meditations that I share here.